Cannabidiol oil, or CBD, has been getting a lot of attention lately. Consumers and professionals alike have been trying it out as a treatment for a myriad of ailments, and the results are nothing short of miraculous. People from all walks of life are finding relief and healing for everything from headaches to seizures. It truly is the ultimate answer to many problems. But there’s another side of CBD oil that people are just beginning to recognize: CBD oil for dogs. It turns out that the overwhelming benefits that people are experiencing with CBD oil are just as beneficial to our fur-babies. Cannabidiol oil is extracted from cannabis plants, namely marijuana and hemp plants. The oil can be safely extracted using high-pressure CO2 or, in a less desirable approach, by utilizing potentially toxic butane or ethanol. It contains no measurable THC, which is the chemical content in the plants responsible for getting people high. It is legal in almost 50 states as long as it is from a hemp-derived source and contains less than 0.3% THC. It is sold in various forms and quantities. CBD Reduces Anxiety. Following the same patterns that have been reported in treatments to people, many pet lovers have confirmed that CBD helped treat their dogs with separation anxiety or an adverse reaction to noise. The calming effects can work wonders in a hyperactive pet. CBD Treats Arthritis. One of the most prominent and promising of all claims is in using CBD oil for arthritis in dogs. Most have testified that dogs who were once crippled by arthritis pain and stiffness became more mobile and suffered far less pain within a few weeks of consistently applied treatments. CBD Fights Cancer. Another major benefit of CBD oil for dogs is its ability to fight cancer. Several studies have been released indicating that CBD has an anti-tumor effect, reducing and killing cancer cells. CBD has also been used to effectively counter the side effects of traditional cancer treatments such as radiation and chemotherapy. CBD Eliminates Seizures. CBD oil has been demonstrated as an effective alternative to drugs in the treatment of seizures. Up to 7 out of 8 dogs who suffered epileptic seizures saw significant reductions in the frequency and severity of their attacks when under consistent applications of CBD oil. CBD Relieves Pain. Both in humans and in our fur-babies, CBD oil has been touted as an effective relief for chronic pain, whether due to injury, sickness or aging. CBD Reduces Inflammation. Inflammation can occur in nearly any part of a dog’s body and can cause various complications and severe pain. CBD oil acts as a general soothing agent to reduce the inflammation and help relieve the associated pain. CBD Improves Cardiovascular Health. The heart, veins, arteries, and blood itself all see benefits from CBD oil including improved heart rhythms, cleaner flow and better immunity against diseases and sickness. CBD Increases Appetite and Reduces Nausea. For many pets, keeping healthy through a consistent diet can be a challenge. CBD oil can help reduce nausea and improve a dogs appetite and overall nutritional input. Will THC Affect My Dog? The CBD element alone carries the power to administer the various health benefits so many of our pets desperately need. It is important to choose THC-free CBD products for dogs and cats because in large enough amounts, THC can cause adverse effects in dogs and cats. So, it’s safest to choose THC-free, organic CBD products for dogs and cats, like the products available from Plants Not Pills™ CBD. There are currently no confirmed side effects of CBD oil for dogs, although some have reported possible instances of nausea or diarrhea in humans. For most pet owners, the hope of providing relief is reason enough to try CBD oil for dogs and see how effective it may be. 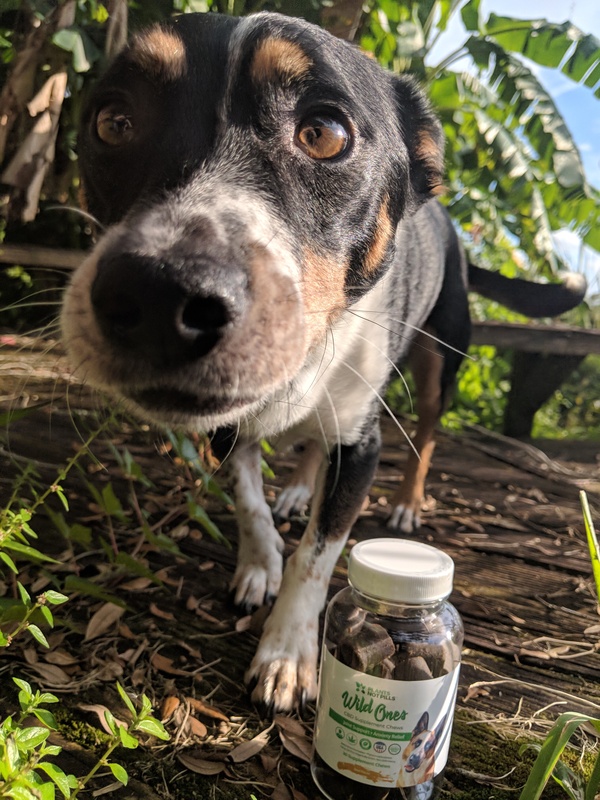 With all the possibilities for giving our furry friends the solutions they really need, why not give CBD oil for dogs a try? Your fur babies will love you for it! Order organically-grown, THC-free CBD products from Plants Not Pills™ CBD. These products are clearly labeled with all ingredients, GMO-free, and made right here in the USA.